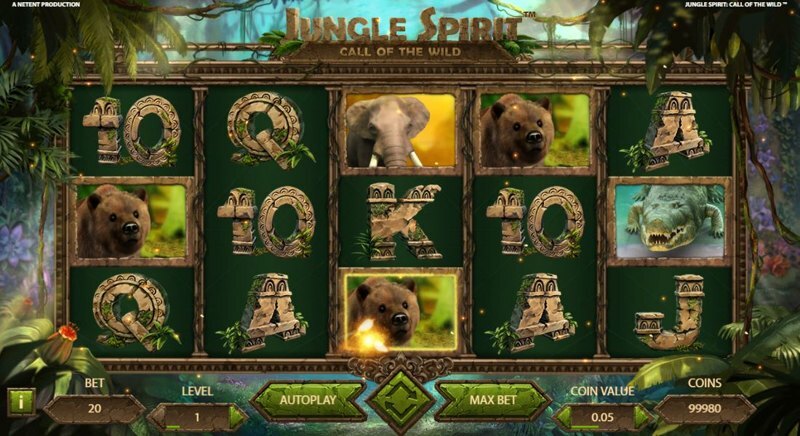 Net Entertainment are well-known for regularly releasing new games, often opting to bring new titles to market just weeks apart… but Jungle Spirit: Call of the Wild – one of the software providers latest video slots – was part of an unexpected “double release”, that saw Net Entertainment release two games within just a couple of days. Alongside Wild Wild West: The Great Train Heist, Jungle Spirit: Call of the Wild was made available to players in early January, 2017, and this 5-reel, 243-ways-to-win slot offers a subtle, enjoyable gaming experience, with players able to spin the reels from £0.20 a spin, right up to £200, ensuring players on all budgets can enjoy the game. The game’s based in the Jungle, and is named fittingly, as there’s an influx of wilds within the game; in fact, they form a major part of some of the features, which we’ll cover in the section below. 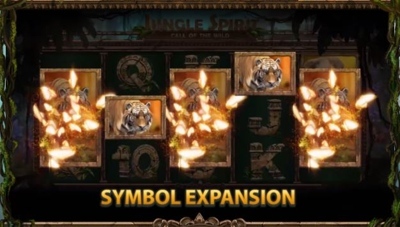 Graphically, Jungle Spirit: Call of the Wild is designed fantastically, with rich, High-definition graphics greeting players on all devices (desktop AND mobile gaming is supported), and the high-paying symbols you’ll want to look out for are five types of animal; a Cobra, a Crocodile, a Bear, an Elephant, and a Tiger. Unfortunately, Net Entertainment have opted to use the classic lower-value playing card symbols, such as Ace, King, Queen, Jack, and Ten, although the 243-ways-to-win structure makes this a little more bearable. 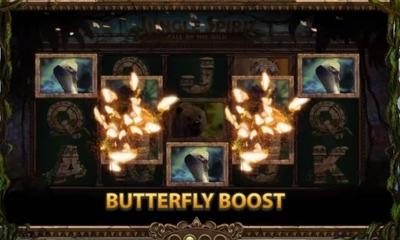 Butterfly Boost is the first feature, and this is randomly-triggered during any regular base-game spin. When this triggers, you’ll see a number of butterflies begin flying onto the screen, and collectively, they’ll turn anywhere from one, to four reels completely wild. Every symbol in Jungle Spirit: Call of the Wild (excluding the scatter symbols) can contain a small butterfly as part of its design (although not every symbol does). If you manage to make a winning payline with any of these butterfly’s present, the symbol with the butterfly on will then ‘grow’ on that reel, increasing your chances of winning with more pay lines. The main bonus within Jungle Spirit: Call of the Wild is the free-spins round, and in order to trigger this, you’ll need to land three, four, or five of the scatter symbols anywhere in view during regular play. Choose one of the lower free-spin amounts, and you’ll be in with the chance of much larger wins, at the cost of these wins occurring less-frequently. 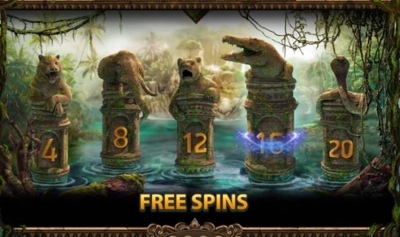 Choose a higher number of free-spins, and you’ll win far more regularly, but the wins will typically be worth less – so most players choose to go down the middle, with the Bear. Once you’ve chosen, you’ll be taken to yet another new screen, where you’ll find the 243-ways-to-win layout has changed to a 1,024-ways-to-win layout, essentially giving you four times as many chances to land wins! It’s not possible to re-trigger the free-spins, and while it’s not the easiest bonus to trigger, thanks to the high-variance nature of the game, the winning potential is fairly large, when compared against most Net Entertainment games.